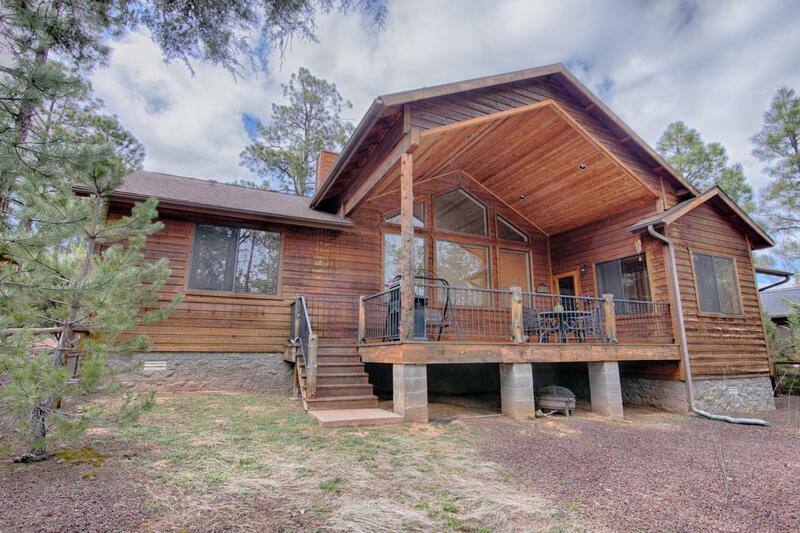 Charming cabin in the prestigious gated Mountain Gate community w/ walking trails, 7 ponds, waterfalls & seasonal streams. 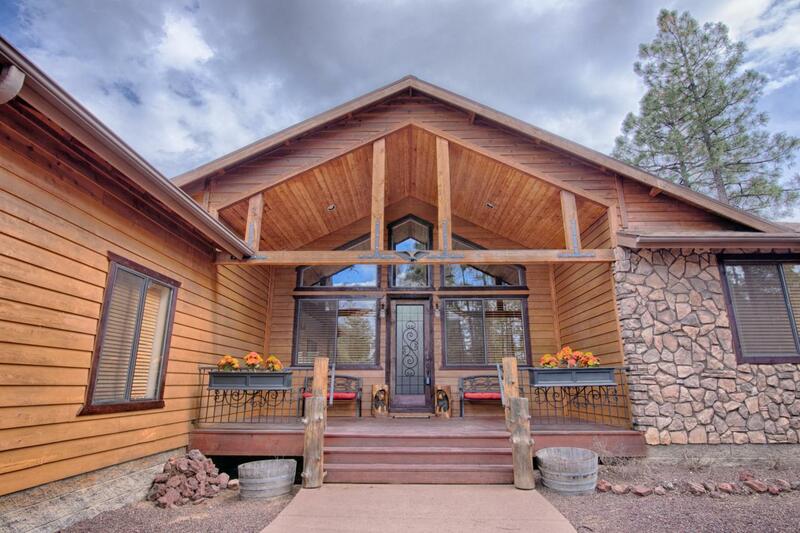 This 3 bed/2 bath split floor w/ LARGE Great Room open concept - vaulted ceiling w/ T&G, ceiling to floor stone fireplace, amazing wood work accents throughout. HUGE windows both front & back. 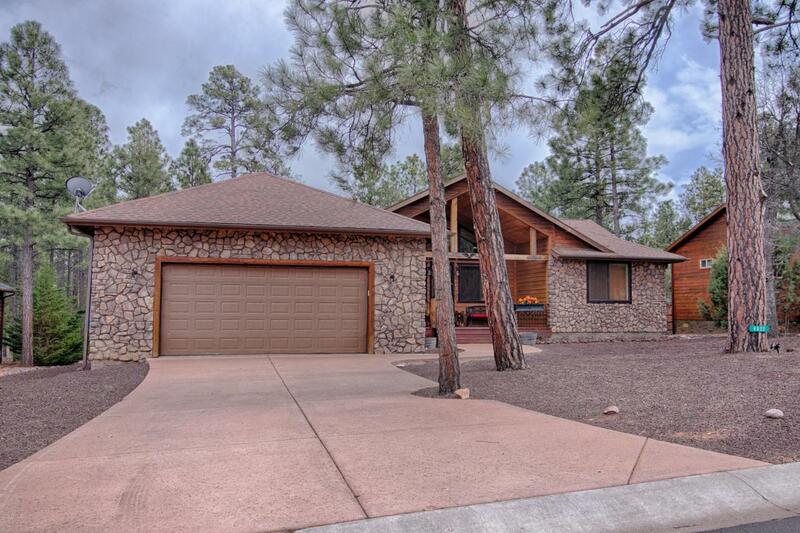 Lovely kitchen w/ knotty alder cabinets, granite counters, gas stove top, plus a breakfast bar. Dining room for a large table with windows all around to bring the outdoors in. Beautiful Master T&G ceiling w/ bay window & a large master bath, jetted garden tub, separate shower, double sink - Travertine tile, custom cabinets & mirrors. Wood lam floors throughout most of home + tile and carpet in 2 beds. 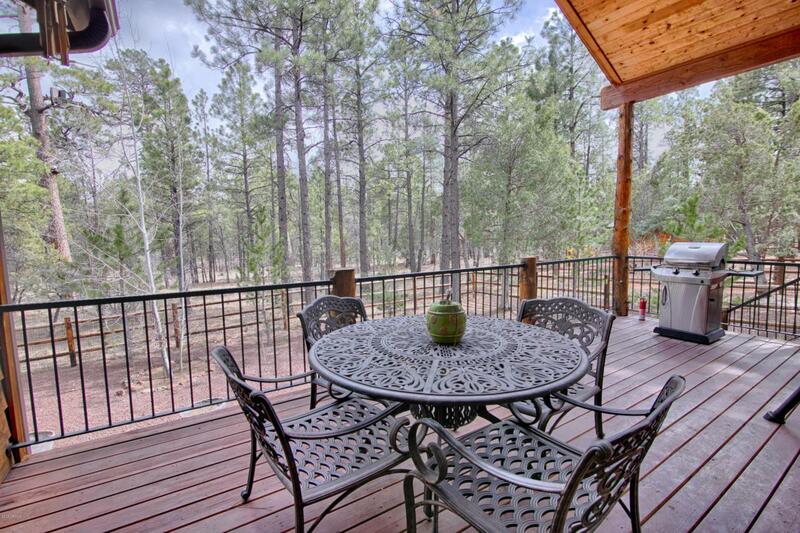 Large covered decks both front and back, fenced yard, backing forest.